The search for Niles continues and this week it takes Jane, Larry, and Rita on a trip to find the real Doom Patrol. The patchwork assembly of creations currently living in Niles's manor are not his first attempts at creating a "superhero" group. In reality, he has abandoned three of his former projects after they were mentally destroyed and driven insane by a past entanglement with Mr. Nobody. Composing the Doom Patrol was Steve Dayton known as Mento, Rhea, and Arani. All three with unique abilities. Dayton is a psychic, Arani has both ice and power fires, and Rhea can levitate things. For a time, they were a popular group, making headlines and saving the day until Mr. Nobody came to town. With a jukebox connected to a hot air balloon shaped like buttocks, a song played that drove everyone in the vicinity mad. Then the police were transformed into pinatas and the crowd feasted upon their candy entrails in zombie-like droves. We don't know exactly what Mr. Nobody did to Rhea, Arani, and Steve to drive them mad except he feasted upon their greatest fears. Since then, they have lived in a depressing house of horrors under the guise of a shared delusion, controlled by Mento, that they are actually in charge of a school of teaching gifted meta-human students. A man named Joshua, a physician with his own abilities, runs the place in Calder's absence. Jane, Larry, and Rita have their own horrific experiences in the school. At first, while Mento is still in a decent state of mind, you wouldn't know anything was amiss apart from the occasional glitch in the matrix, explained away by Arani as pranks by the students. Yet as the episode progresses and we learn more about Mento and his prior relationship with Rita, the facade begins to crumble. Years ago, Niles brought Rita to see Steve Dayton so he could help her get control of her abilities through her emotions. The reason she decided to get help is because she accidentally killed a lecherous film producer. They started a brief relationship until one night, Steve read Rita's mind without her permission. He saw an incident with a woman named Mary Beth. In the present, Dayton uses Rita's memory of Mary Beth to terrify her. Mary Beth appears before her and slits her wrists. We can infer that Rita was perhaps one of the reasons the real Mary Beth became suicidal. She is eaten up by the guilt of her actions. Jane tags along with Joshua to learn about what exactly happened between Niles and the Doom Patrol. When the tide turns, she is stalked by a wave of puzzle pieces with a creepy male voice muttering, "come join me, sweet, sweet baby." I think this is a perception of Jane's father, who abused her. As for Larry, his journey is with Arani. Part of her delusion is that she is married to Niles. When Dayton's illusion takes a turn for the worse, Larry is confronted by his ex-lover who has creepy Freddy Kreuger needle serum fingers. It is the spirit that eventually leaves Larry and removes Mento's helmet to end the nightmare. Jane, in particular, is deeply affected by the state of the Doom Patrol and the fact Niles abandoned them as if they were nothing but broken toys. Part of her fears he will do the same to her. But she can't ask him about it since he is still in Mr. Nobody's clutches. Joshua tells her that's the reason he sent her to this place, so she would feel inclined to give up on Niles. 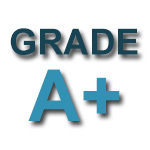 Rita is able to make amends with herself, and with Dayton, to the best of her ability. Remembering Mary Beth and her past has motivated Rita to leave behind her movie star persona. She puts the helmet back on him and allows him to renew the happier illusion. Back at the manor, Cliff is trying to get access to his daughter's Facebook page (I had to laugh at him calling it "FaceHole") while Victor has to get some emergency care from his dad after the explosion of last week. Surprisingly, Cliff offers Victor's father some advice about Victor. He tells him he should give his son more credit for making noble decisions. His dad makes the choice to finally let Victor be his own man and even reinstates the privacy mode. He promises not to listen in on Cyborg's life anymore. This earns him a hug from his son. In turn, Victor sets up a profile so Cliff can essentially "catfish" Clara and learn about his daughter from afar. Except he learns a little too much when he sees someone from his past, Bump, has become her foster father. 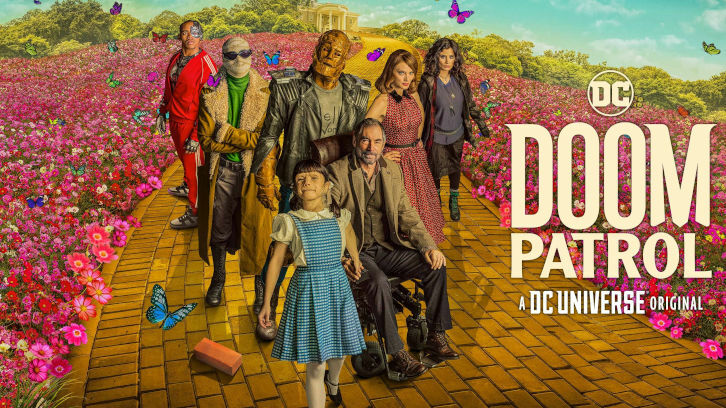 New episodes of Doom Patrol are available to stream Fridays on the DC Universe app.